Prague, my home for 1/3 of my life! 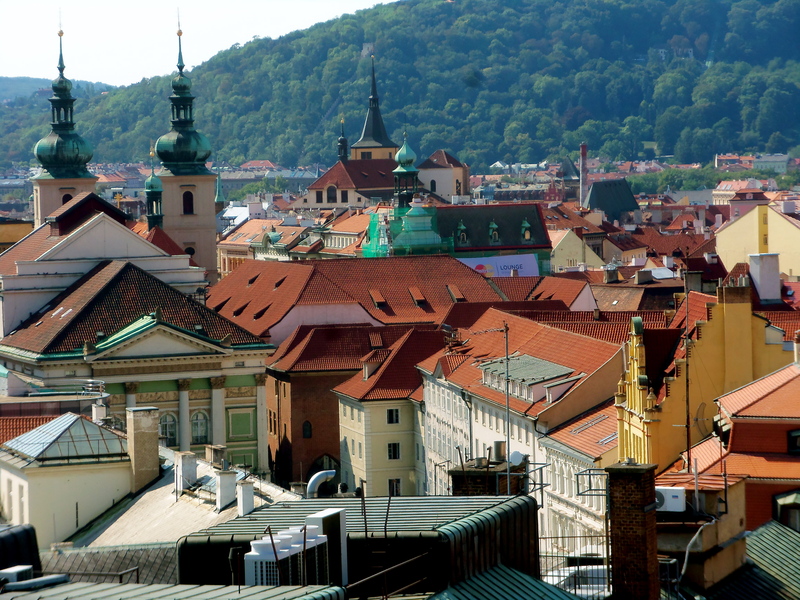 I have had an amazing year since my family and I left Prague on July 31, 2014. 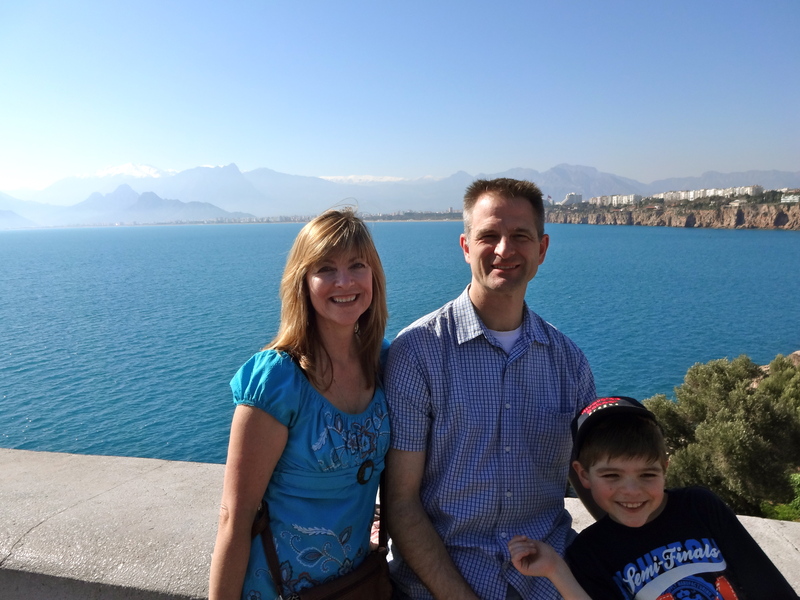 In August 2014 we went to Slovakia, Slovenia, Croatia, and Montenegro. We visited Amber and her dog Paws, in the beautiful Slovakian countryside. 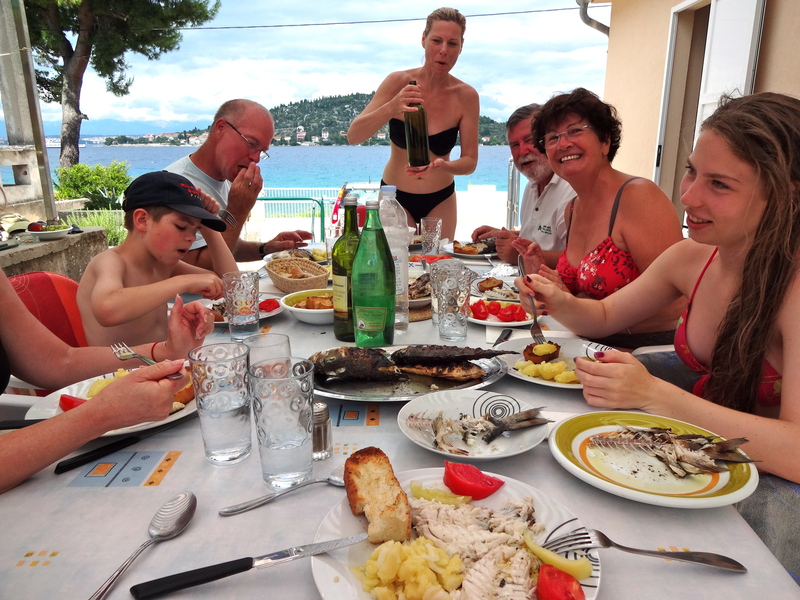 We swam in the sparkling Adriatic Sea with our friends in Croatia. The food was delicious! We swam and ate and ate and swam. 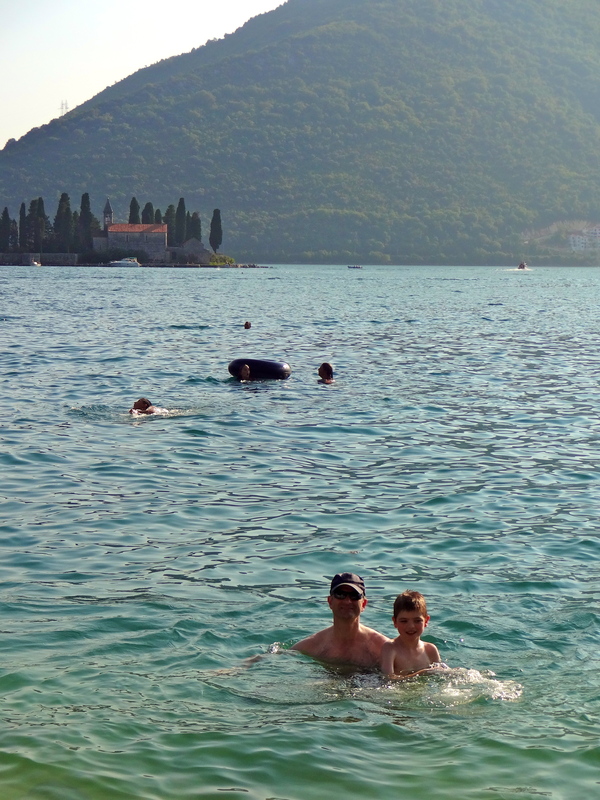 We drove to some interesting seaside towns in Montenegro, and we swam in the beautiful Bay of Kotor. It was hot and the water felt good! The dog liked it, too. We visited our Indian friends, Sally and Ram, in Slovenia. 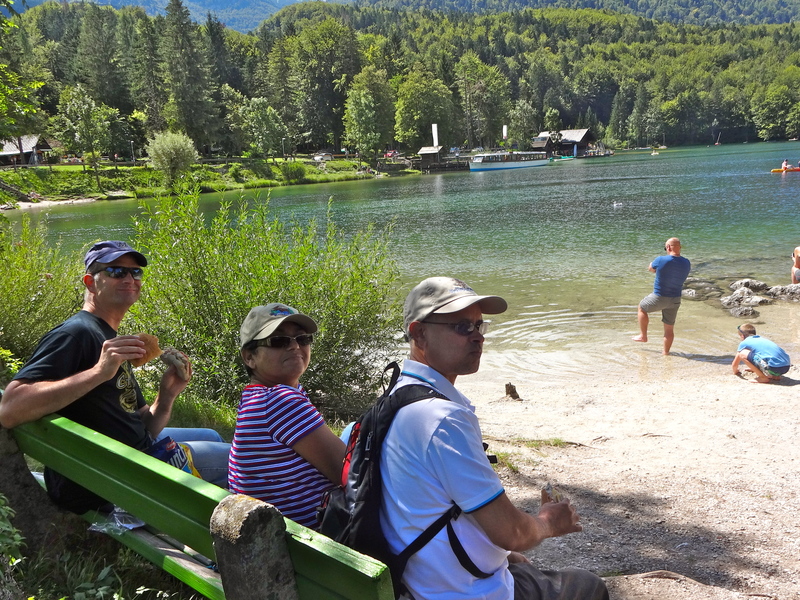 They took us to Lake Bohinj, and we had a delicious picnic. Then we flew to the USA in September and visited friends and family in six different states over the next two months. We visited our friends in Oregon. 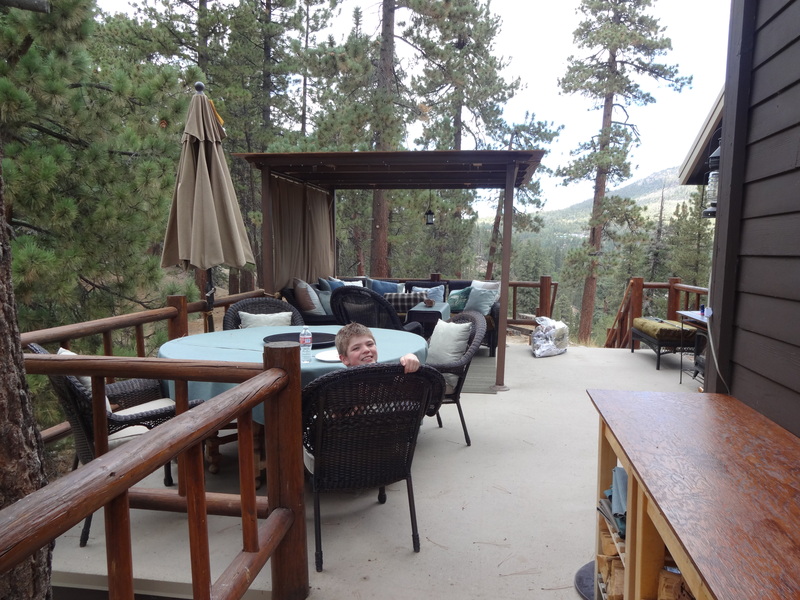 We visited Auntie Robin at her amazing cabin in the mountains, in California. We stayed at my little cousins’ house in Indiana. We played legos, and went to the zoo. I had a surprise early birthday party, and I got Angry Birds Star Wars telepods. I was so surprised because it was a week before my birthday! We visited my Grandma, Grandpa, and sister in Wisconsin. We stayed at our friends the Zideks’ house. 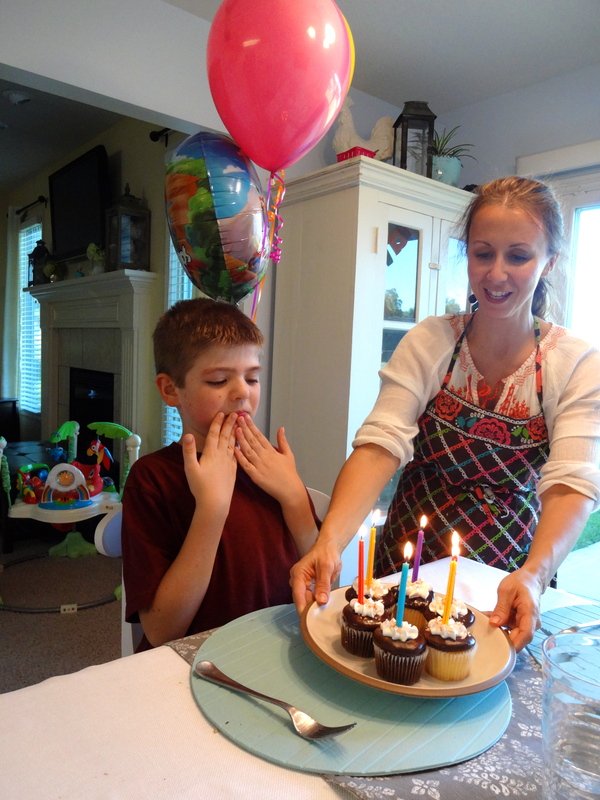 We spent time with friends and family, and celebrated my birthday two more times! We went out for Mexican food for my birthday. Not my best photo! We stayed at my cousin Morgan’s house in Minnesota, where we played Gamecube Super Mario Sunshine and card games. Then we visited my grandparents, uncles, and aunt in Texas. We went to NASA in Texas with my uncle and aunt. 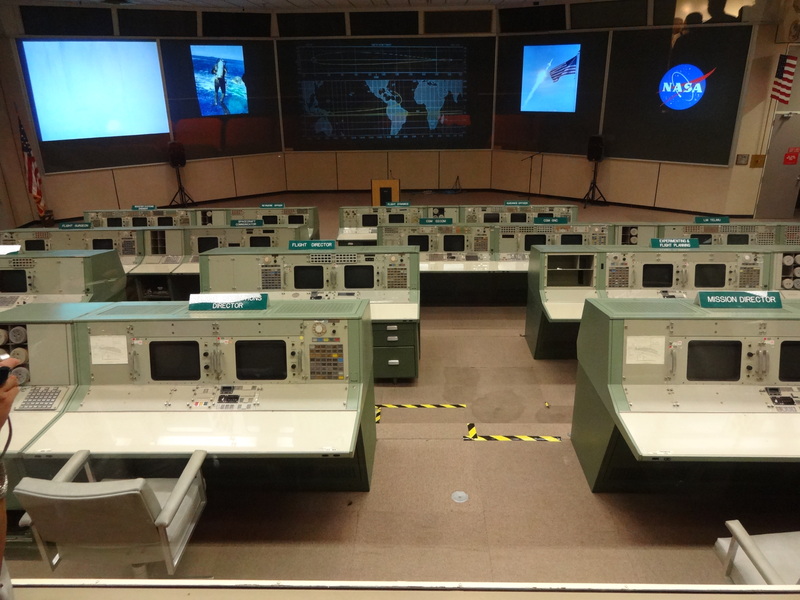 The original control room for the Apollo missions. In November we flew from the US to Prague, and we stayed there a week. We stayed at the Antblads, our good friends from Sweden. 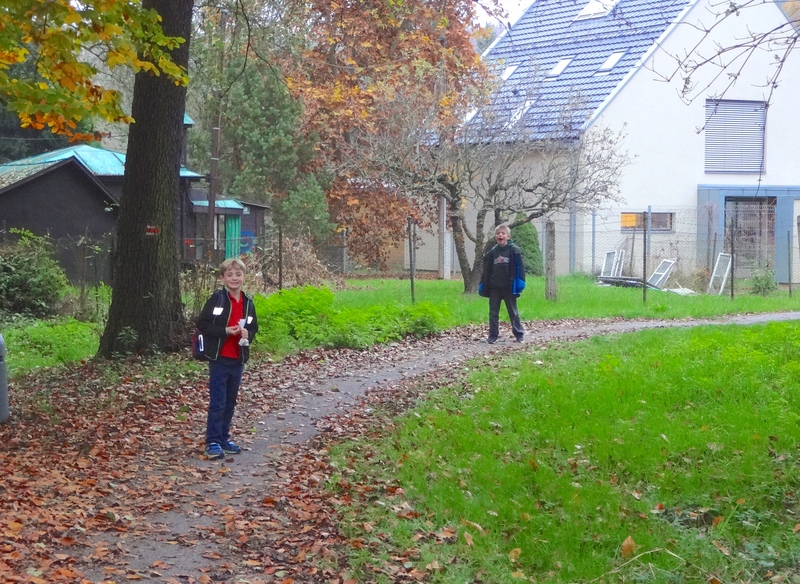 We visited my wonderful school. I met my old friends, including my friends David and Robbie. I was sad to leave my great friends. 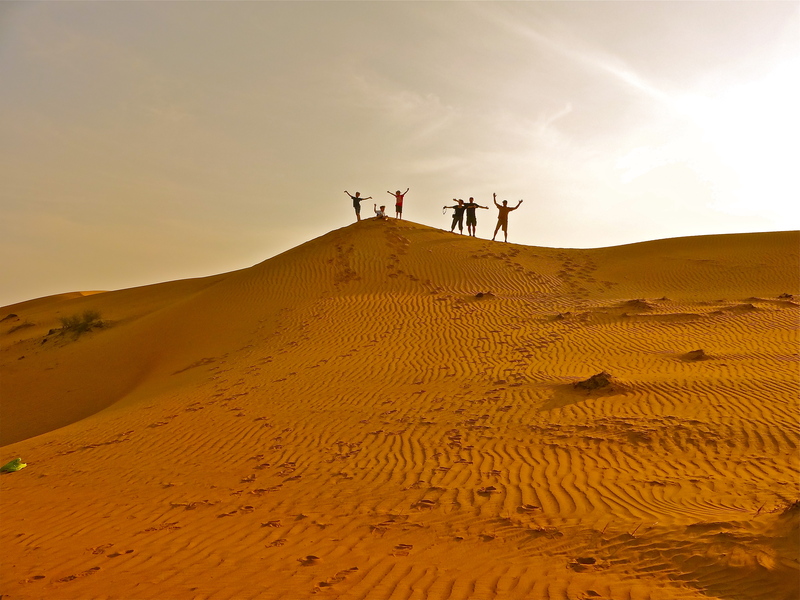 We flew from Prague to Dubai, and we stayed a few days with the Bevans, our British friends. We swam and played in the Persian Gulf. 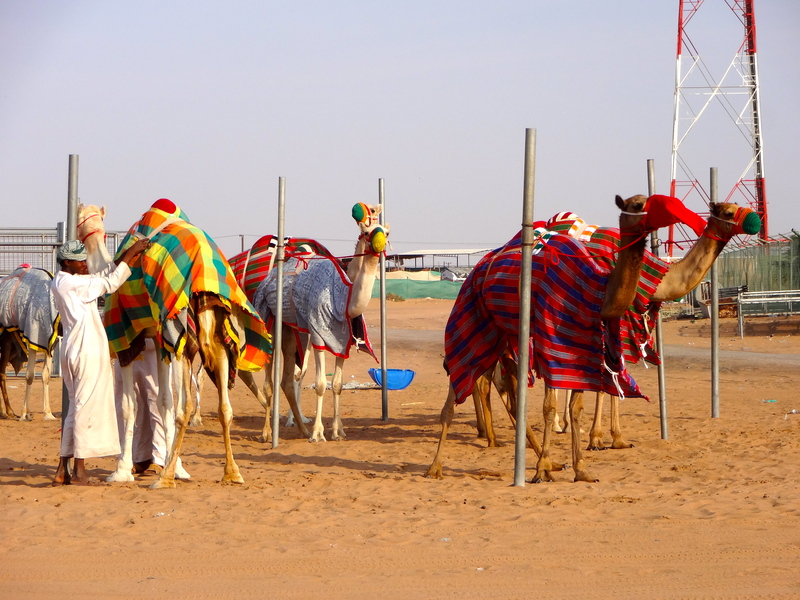 We saw a camel racing farm in the desert. I wish we could have seen the camels race! This is us with our friends, the Bevans. 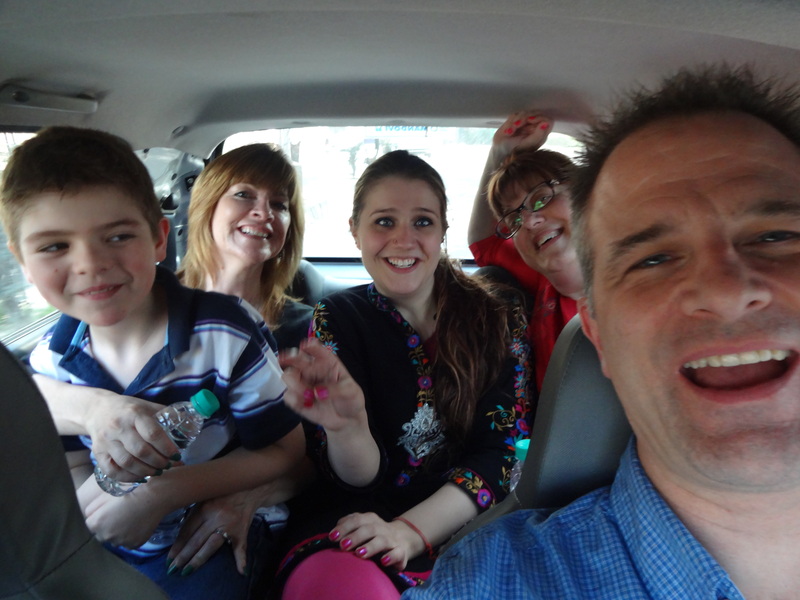 Next, we flew to Bangalore, India and stayed with our friends, Martha and Susheel, at their farm. They have five cute dogs, and I liked playing with them. I walked the dogs almost every afternoon by the lake. 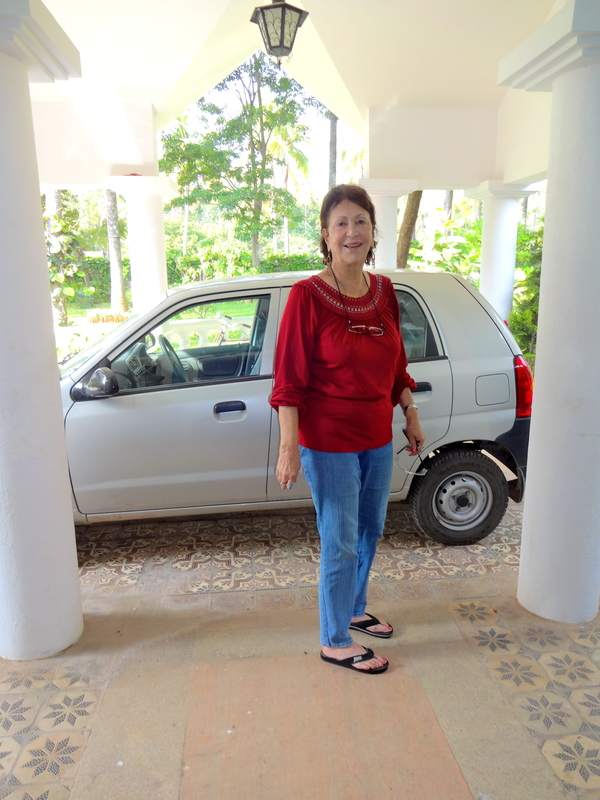 We went to Susheel’s second farm in the countryside for a weekend. 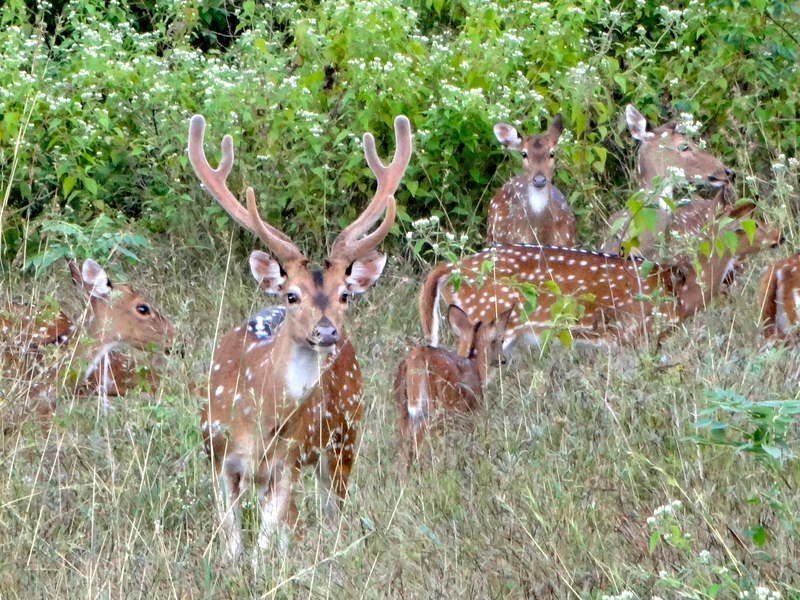 On the way we saw many interesting animals. Indian food is the most yummy food I have ever had. 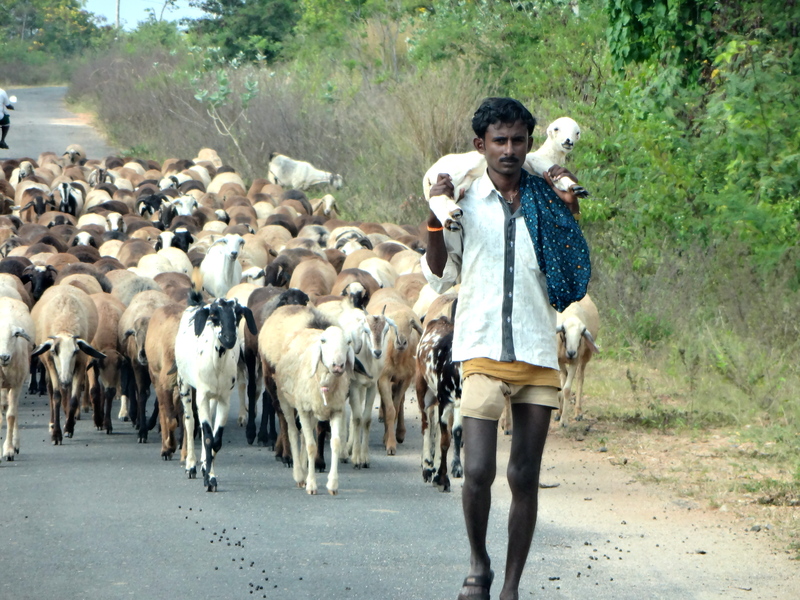 On the way to Susheel’s other farm. 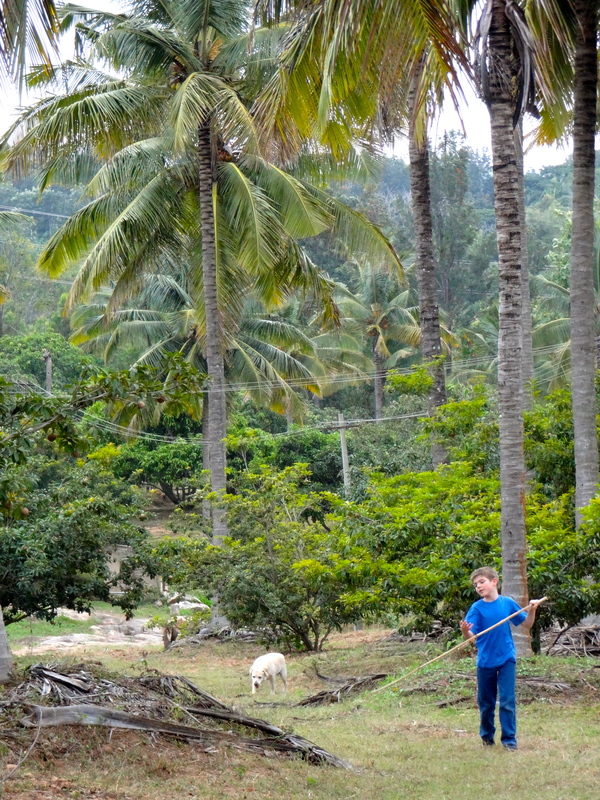 We visited other friends at their 40 acre farm called Bamboo Banks, located in the jungle. 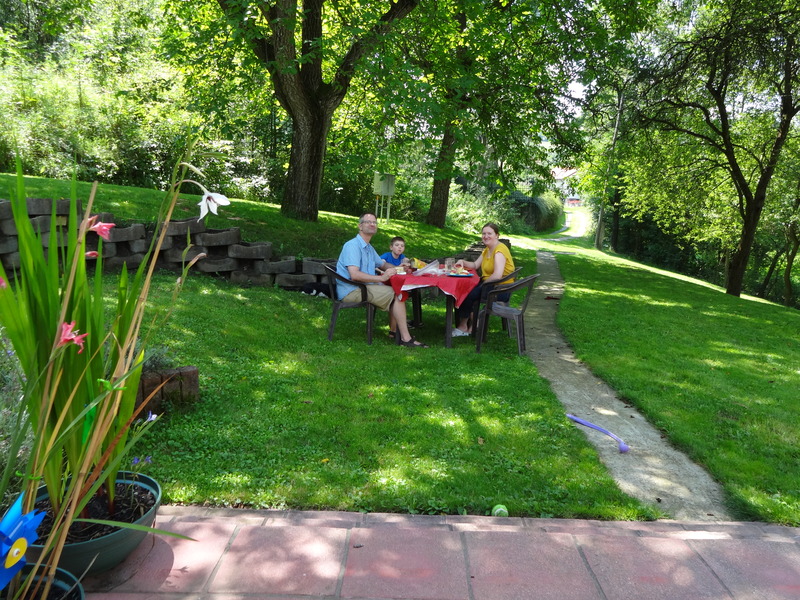 We stayed in a small, cute cottage with a garden. I swam in the pool while Mom was reading in the hammock. I jumped really high on the trampoline. The horses came by for lunch while I swam. 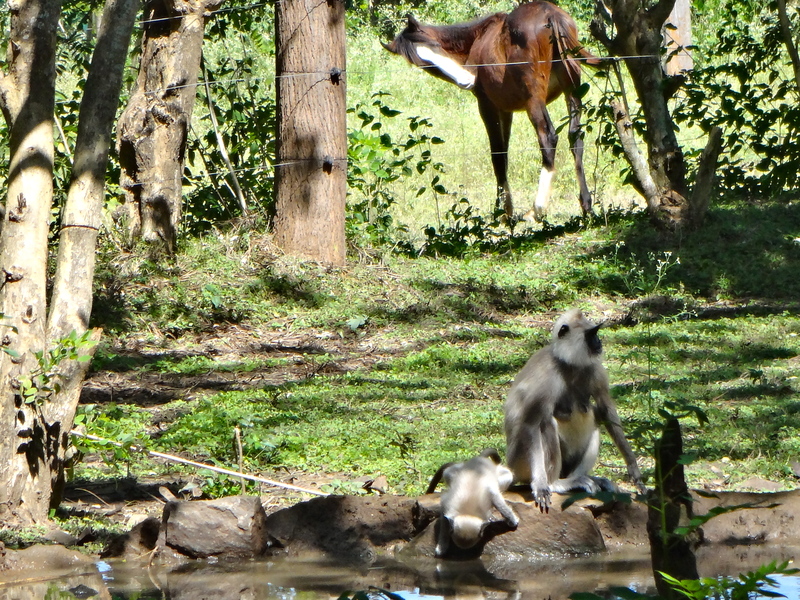 One morning the monkeys woke us up when they were playing on top of our roof! 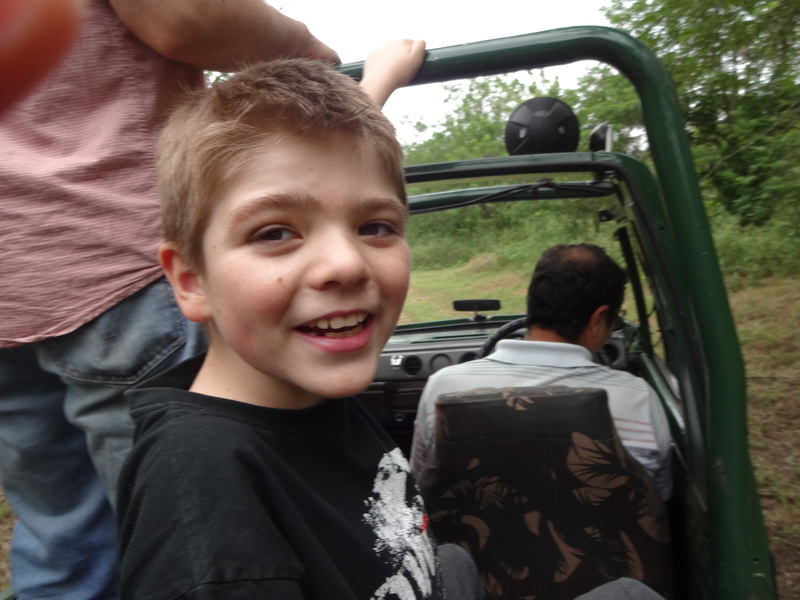 On a jeep ride we saw deer, peacocks, wild boars, and monkeys. We watched the elephants eat their food at the elephant camp. Sometimes we drove really fast! So close! We had to be really quiet. After Bamboo Banks, we stayed three weeks with Granny Ingrid. Every morning Dad and I went swimming in Granny Ingrid’s pool. The Zideks, our American friends, came to Granny Ingrid’s house for Christmas. On Christmas morning I opened my presents. Then we went to a party with fancy cars and delicious food. India was the best vacation ever for me. We spent six weeks in India, and I loved it! Last Christmas I was really into Super Mario Brothers! On the way with our not-so-fancy car. Seatbelt laws aren’t the same in India! 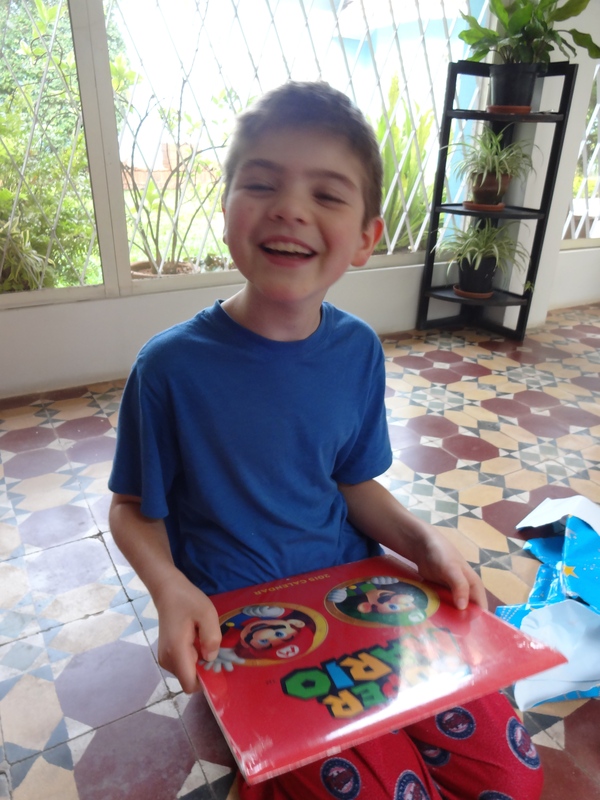 This was at the Christmas Day lunch party with Auntie Ingrid’s friends. 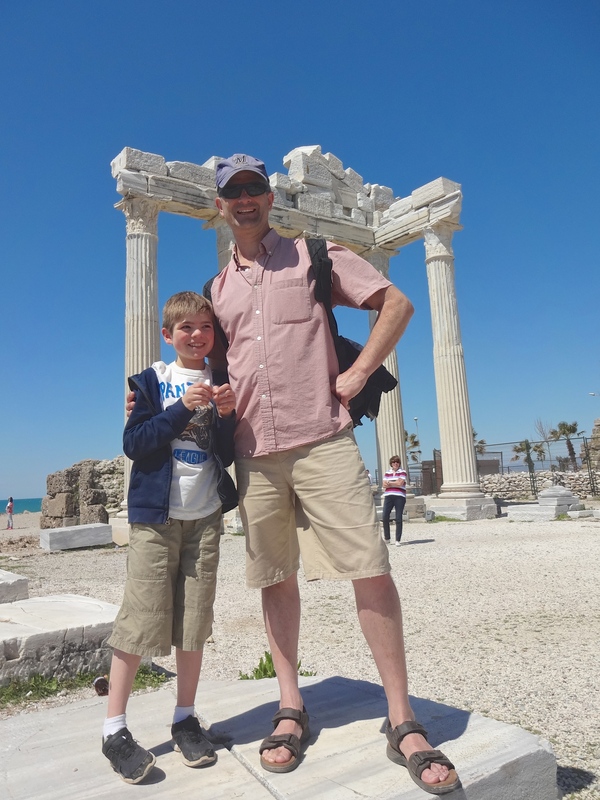 We moved to Turkey in late December 2014. In Turkey I went to a new school . 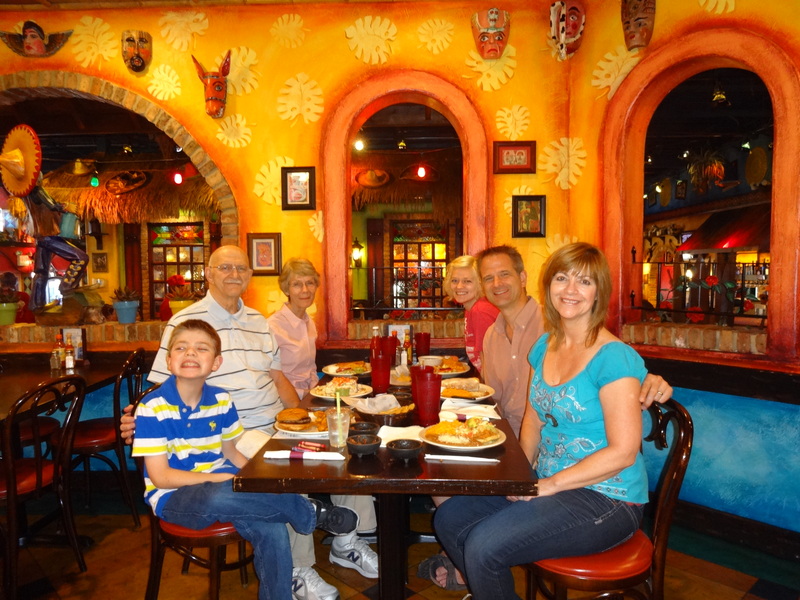 We love having guests and showing them cool places nearby. 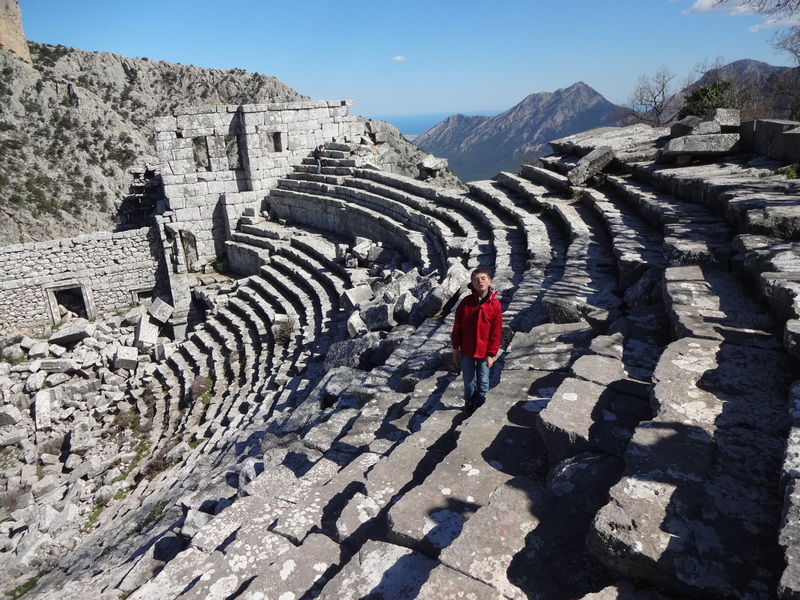 We hiked up a mountain to see Termessos! We like going on boat rides with guests! We went to Side to see the ruins. There is a nice beach here, too. I went camping twice in Cirali; once with my school, and once with our church. This is the cabin I shared with three boys. The mountains are not far away. It has been a good year. 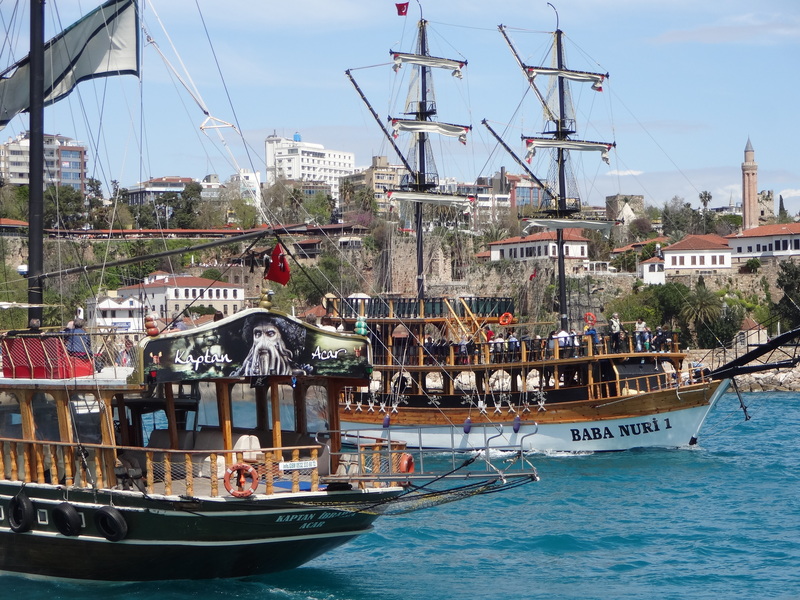 I like living in Antalya. I like the mountains, the nice breeze, the sea, and the ice cream (dondurma). You would love it if you came here.